WEST HILLS GETS BETTER AND BETTER! If you haven't been by West Hills lately, let me bring you up to date. 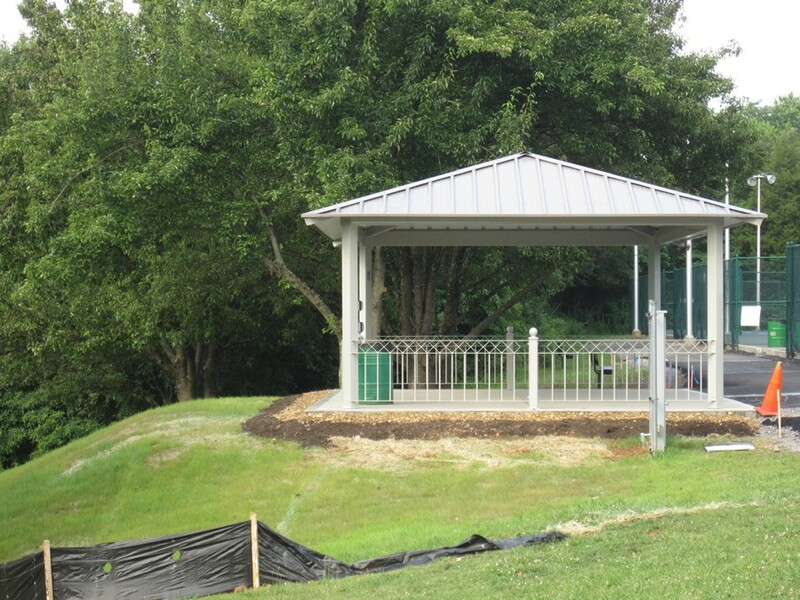 The City of Knoxville has added a viewing pavilion. It looks great and is one more place to watch tennis with some protection from the elements. 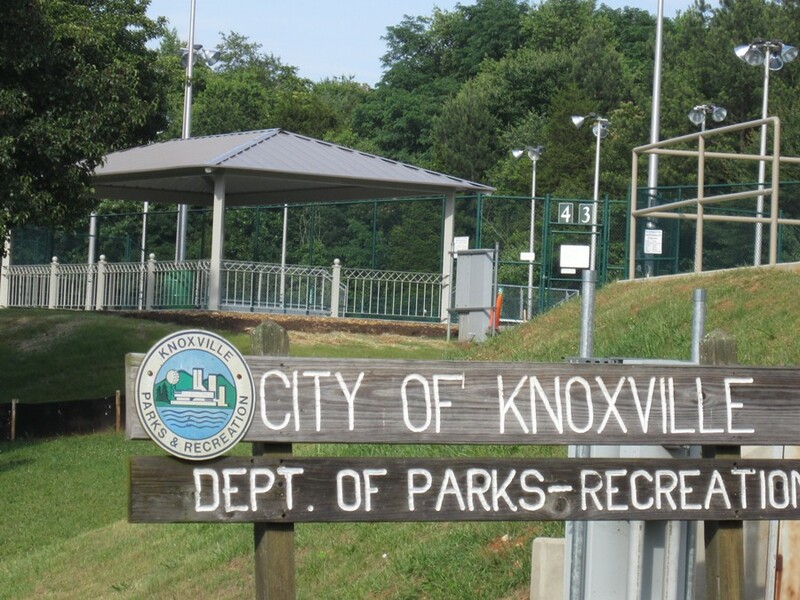 West Hills is an ongoing project and GKTA is so grateful to be partnering with the City of Knoxville. 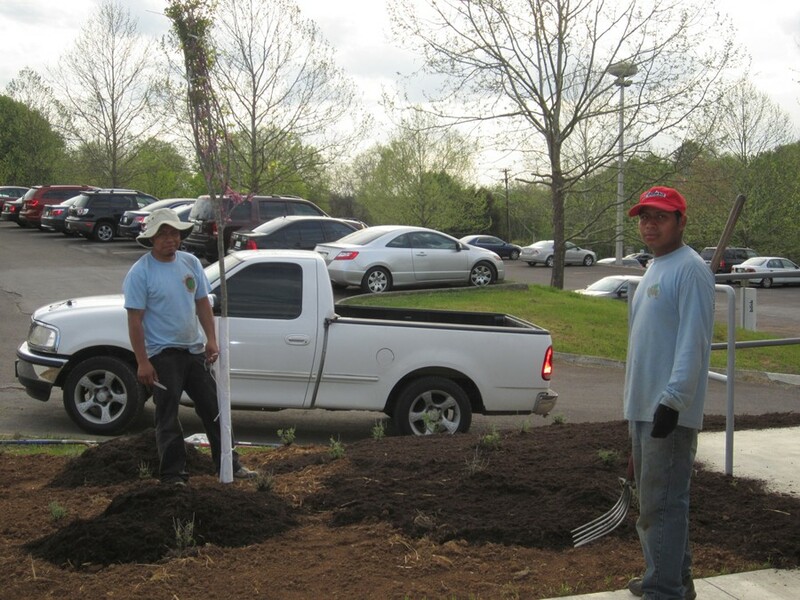 Many thanks to Jacob Dunaway, owner of Native Design Landscapes, for making the area surrounding the new building at West Hills Tennis Center beautiful. 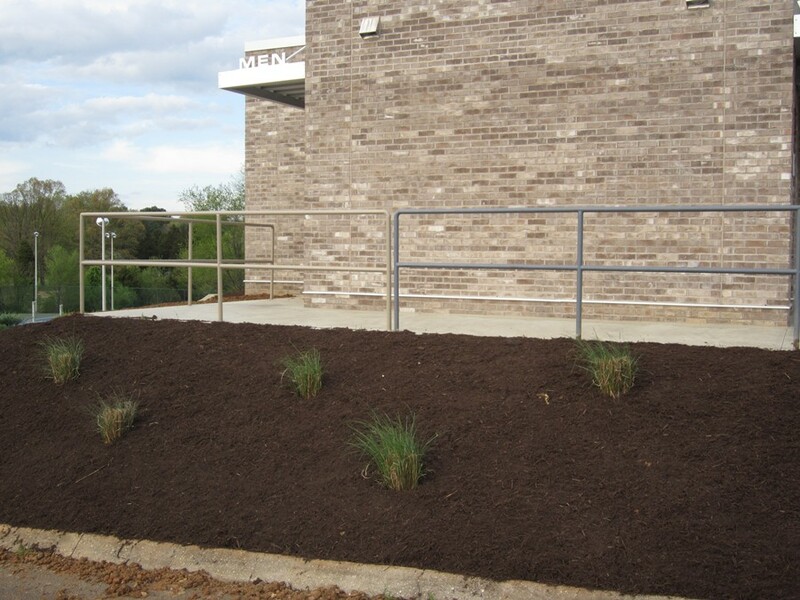 The landscape project was completed this week and looks wonderful! It will only become more so as the plants mature. The City of Knoxville and GKTA also made contributions; but, without Jacob who donated the plan, most of the material and all of the labor it would not have happened as timely. Many thanks to all involved. We are not done with West Hills renovations. There are more exciting plans in the works. 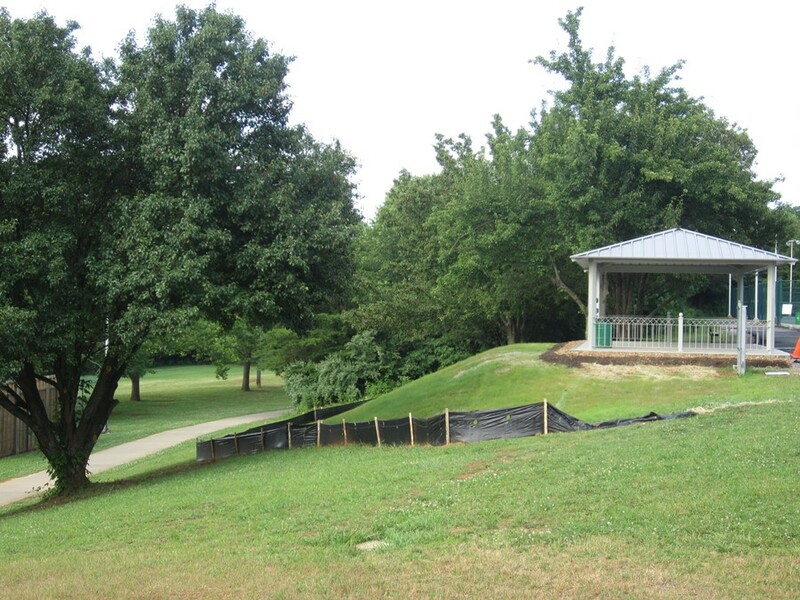 The City will soon start construction on a covered viewing pavilion located on the hill between the upper and lower courts. What a welcome addition this will be. If you haven't been by lately, come check things out! Stayed tuned for updates. Mike Pappas was not only there as President and representative of the GKTA, he is also part of the committee formulated and committed to overseeing the completion of this project. The committee also includes Cheryl Thompson and Nancy Vineyard, whom we refer to as the "backbone", John Harenza, Deidra Dunn and Karen Dail. Over the last few months, we have been meeting with Curtis Catron of Bullock Smith and Partners, to formulate a master plan for the park. He has donated countless hours to this project. We cannot thank him enough. Once the plan is finalized, it will be published. At that point, we will be embarking again on a major fundraising spree. We are hoping to convince you and your friends what a worthy investment this would be not only for our tennis programs, but for our community and city. All donations are 100% tax deductible and are handled through the East Tennessee Foundation. We are looking forward to this next chapter!! Hope you join us! 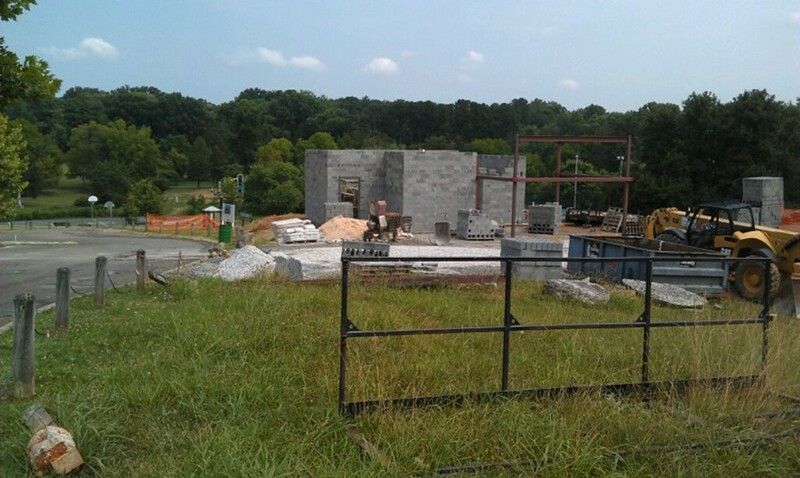 West Hills Building – Yes, it is happening!! 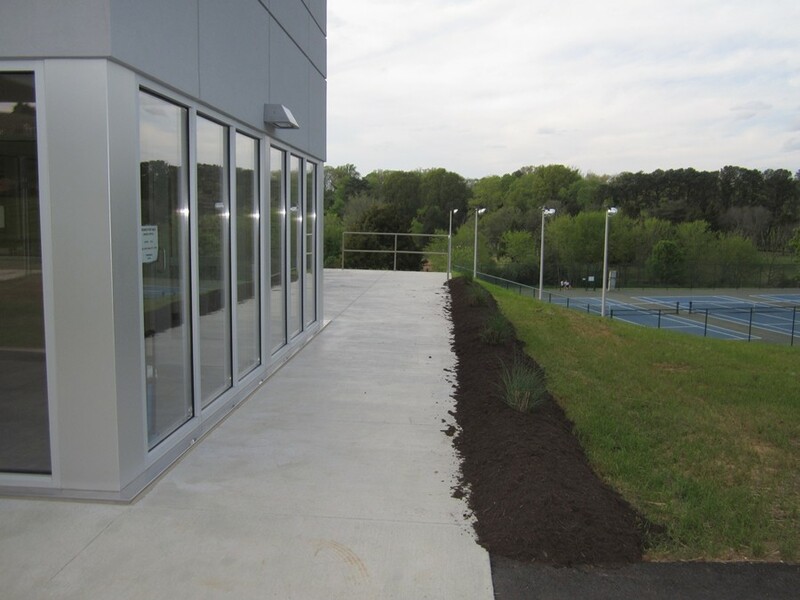 You have been hearing and hearing about the West Hills building going up as Phase II of the West Hills Tennis Center Rescue. We are here to say, indeed it is!! 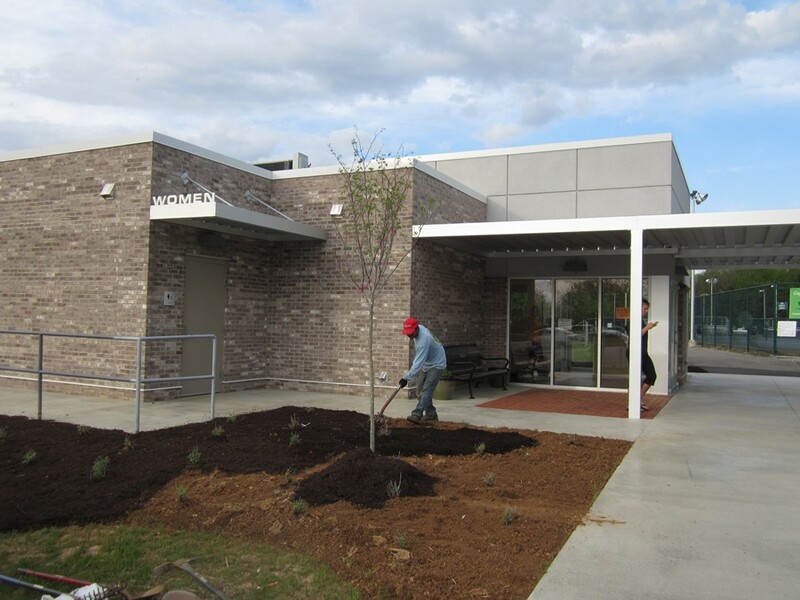 Thanks to the hard work of Cheryl Thompson, Nancy Vineyard, The City of Knoxville, Johnson Architecture, and the GKTA board, it is now a reality. The bids have come back and the contract was awarded to Venture Builders. The building should take approximately 4-6 months to complete. With building costs being high, as a downside, we had to remove a planned canopy. This brought the bid down $16,120 and allowed us to stay within budget, yet moving forward with the construction. 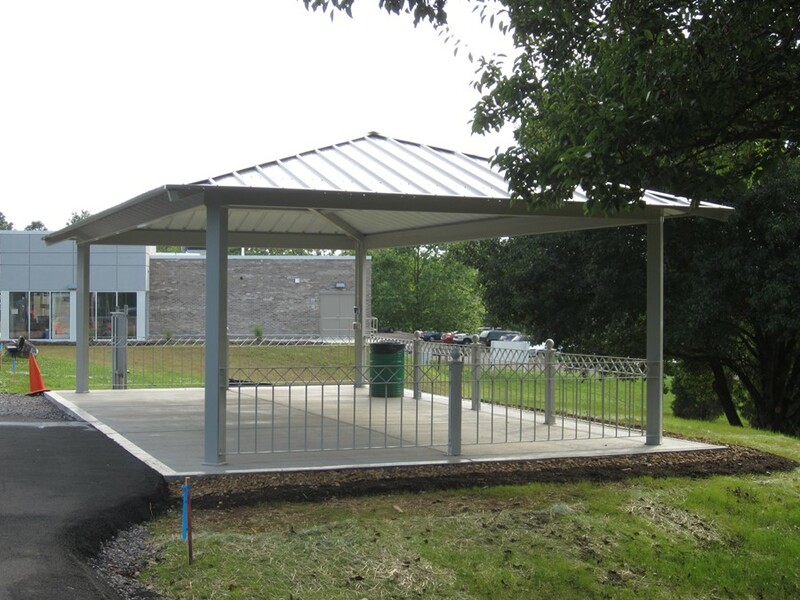 Construction will be done so that when monies are raised, it will be easy to add the canopy. A ground breaking ceremony will be held on Wednesday, February 8, at 2:00pm. It would be tremendous if you could attend this event and show your support! If there are any questions, feel free to contact me at kdail526@comcast.net. If I don’t know the answer, I will find it for you.